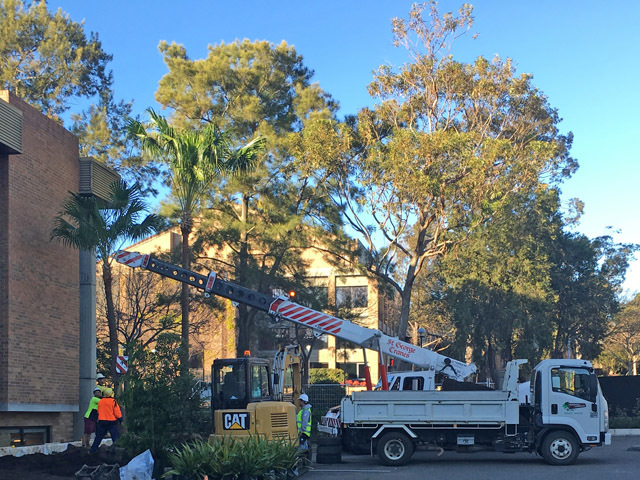 Due to its level of fire risk, the Sutherland Shire Council administration building received much-needed landscape works by Simpson Landscapes & Consultants to create a safer and more aesthetically pleasing entrance to the public building. 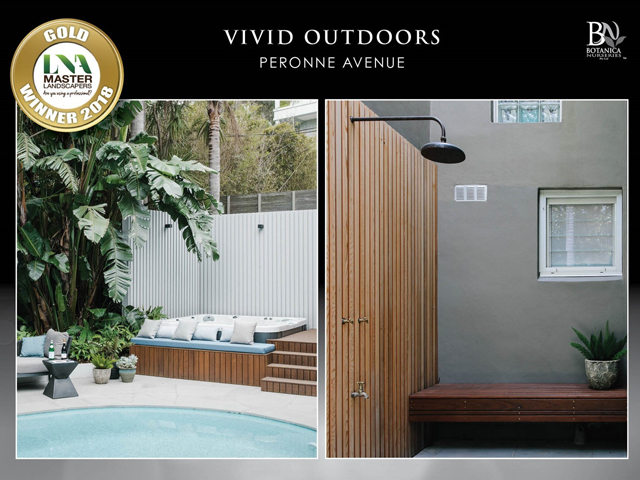 The Sutherland Shire is a green oasis located just 25km from the Sydney CBD. 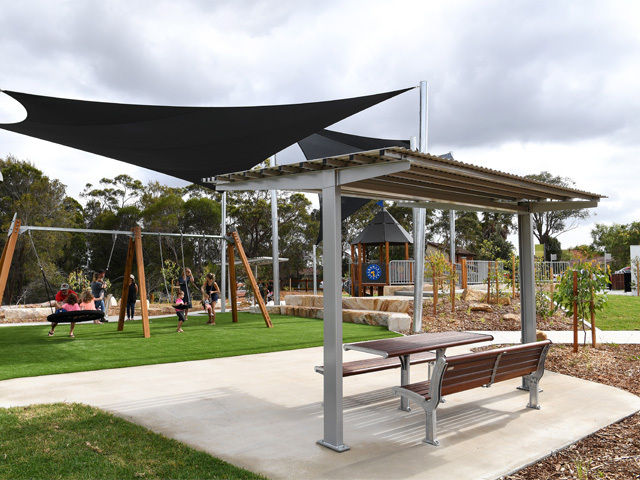 Renowned for its pristine surf beaches and spectacular national parks, the Shire, as it is known, is a well-established leafy area. 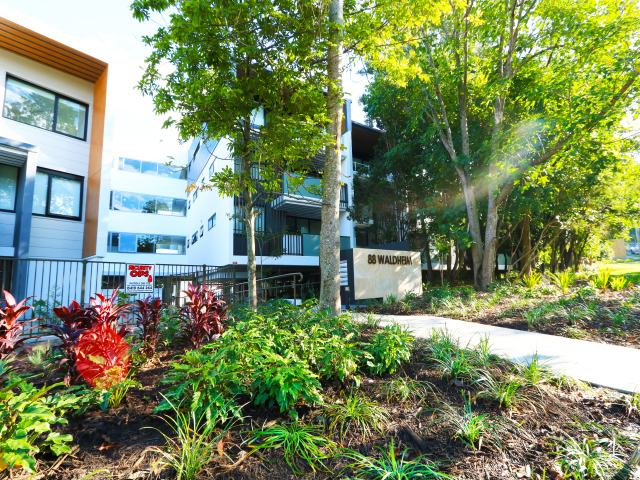 Equally well established was the existing landscape at the front of the Council building – perhaps too well established! Overgrown Casurinas and the resulting flood of pine needles were beginning to cause flooding issues due to clogged gutters and inadequate drainage. 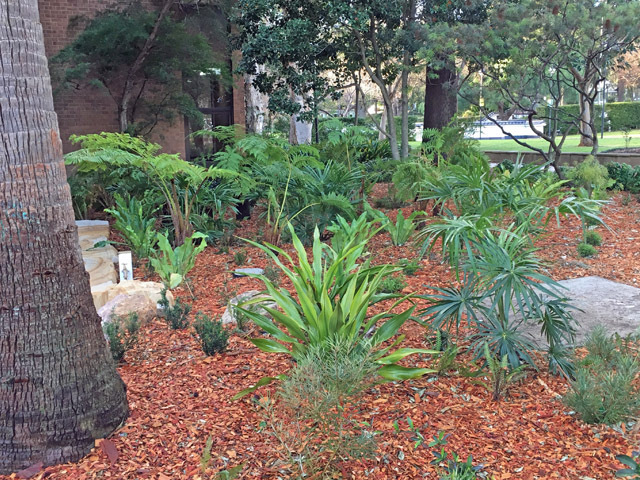 However, the key factor contributing to the need for an overhaul of the public building was the fire that started when a car exhaust set alight the litter of pine needles and densely packed understory in the carpark – causing quite the blaze. 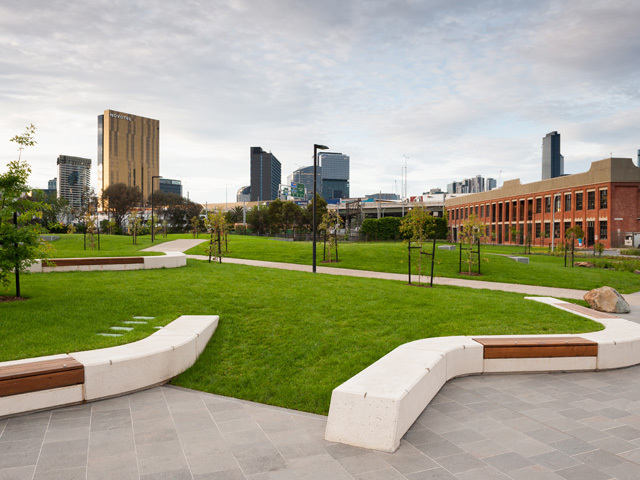 Due to these environmental risks and the cost of ongoing maintenance, the landscaping in front of the government building located on Eton Street in Sutherland was upgraded by Simpson Landscapes & Consultants, improving its drainage capabilities, altering its fire risk status and enhancing the overall appeal of the building. 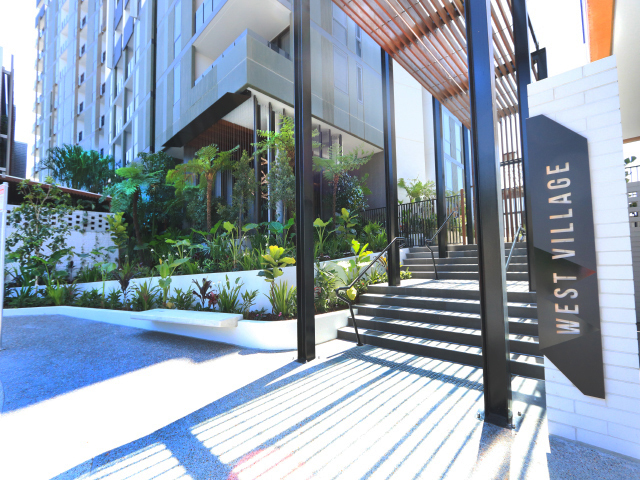 Simpsons undertook the project, completing works within a relatively short 2-3 week time frame. 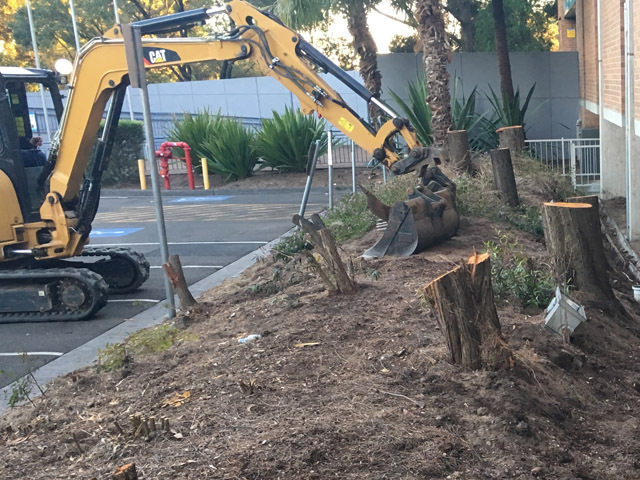 Modifying the fire risk was achieved with the removal of the old Casuarina trees and dense understory, which radically improved parking lot safety. 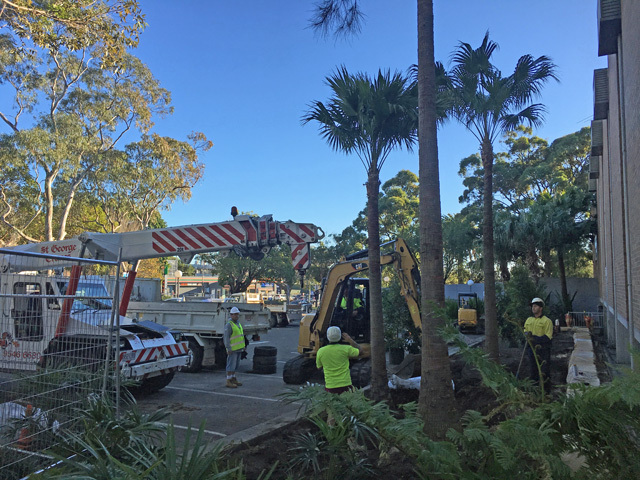 Advanced Livistonia feature palms – up to 7-metres high – were craned into position, helping the landscape to blend with the mature greenery surrounding the site. In addition, supplementary planting of suitable native tree species, with a new understory of rainforest plants of diversified scale and species, was added. 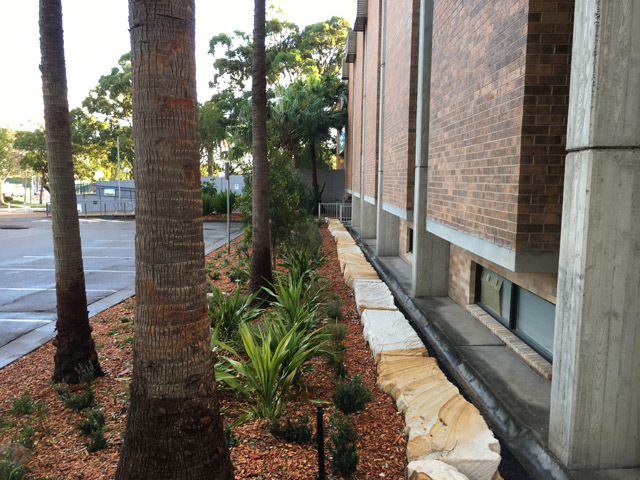 The works undertaken to improve the look and function of the government building, including the installation of sandstone logs to fix ground drainage issues, revitalised the overall presentation of the building, improved the maintenance requirements, and created a more economic landscape for the council long term. 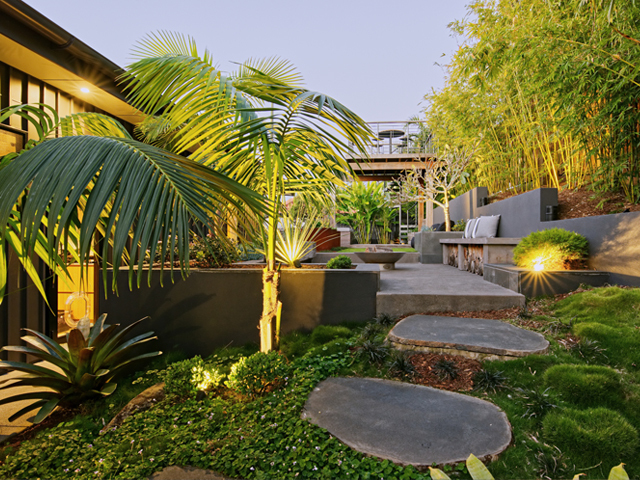 With over 40 years of experience in the industry, Simpson Landscapes & Consultants have the knowledge and experience to undertake a range of domestic and commercial projects. To find out how Simpsons can rescue your next project, visit their website today.